Often overlooked, shoulder pain is among the most common overuse tennis injuries. The shoulder joint has the biggest capacity for movement, and therefore, is the easiest to damage. Located at the back of the shoulder, the rotator cuff muscles are a group of four muscles and tendons that come together to provide stability and mobility to the shoulder. When playing tennis, these muscles act as the brakes of the shoulder during any forward and overhead motion of the shoulder. Tennis players develop strong front shoulder muscles while playing tennis; however, back muscles are usually far less developed. Muscle imbalances, like having weak rotator cuff muscles will increase the risk of shoulder injury in any tennis player. Over time, shoulder soreness will increase to the point where it will be hard and painful to lift the arm. Rotator cuff muscles are small and hard to isolate, and the usual bench press or rowing exercise at the gym will not do it. 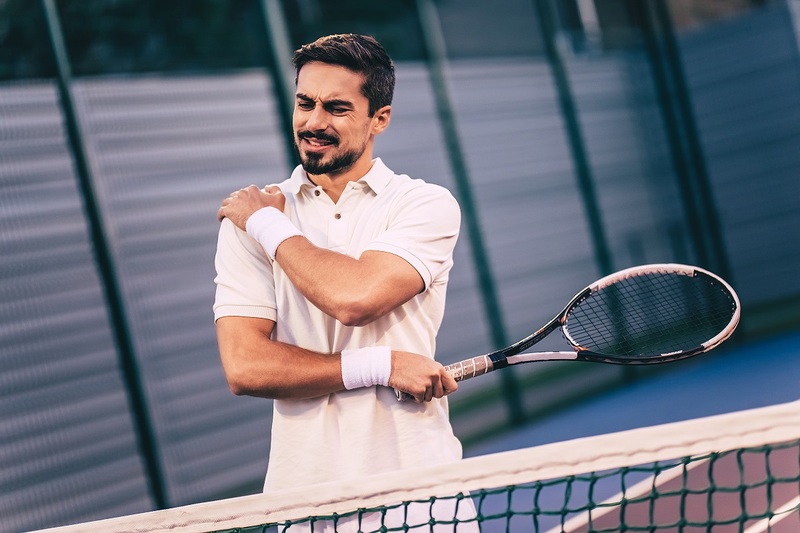 Whether you play tennis once a week or more competitively, I strongly recommend a strengthening rotator cuff routine three to four times per week. If you do not have one yet, there are many routines available to help you overcome muscle imbalance and decrease shoulder pain. Andrea is a world recognized tennis coach specialized in biomechanics and injury prevention. She is the coach of top national juniors (Rachel Arbitman), and WTA players (Daniela Hantuchova, Arantxa Parra). Andrea is the Junior Director, and she also works for the Wake Forest women's tennis program. She can be reached at aandrade@cmttennis.com.